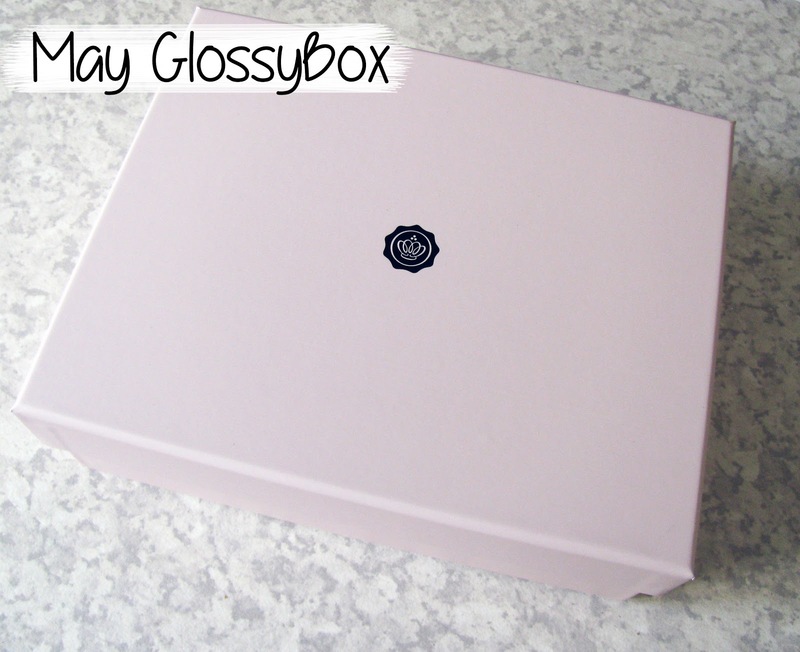 May GlossyBox – GlossyBox Turns 2! So this morning I was woken to knocking on the door, it was the postman with this months GlossyBox! 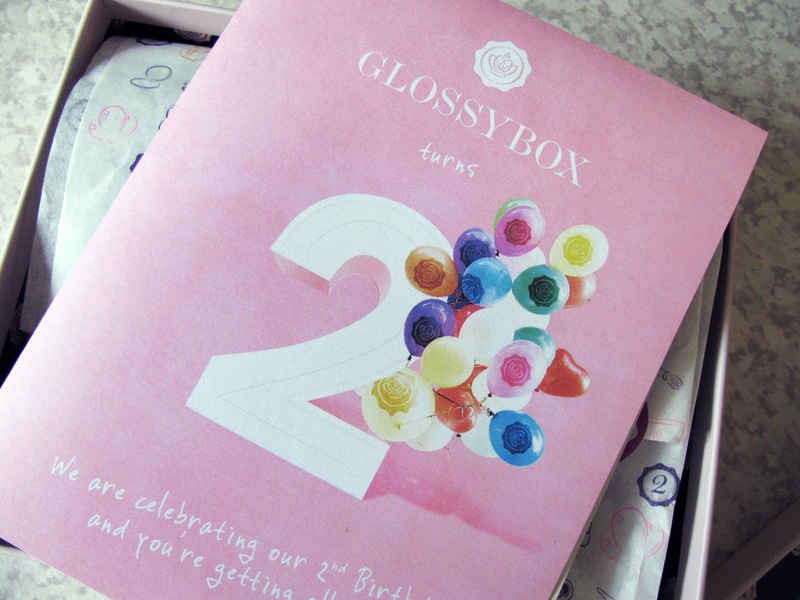 I’ve been super excited about this months box as it is GlossyBox’s second birthday this month so with this months box i’ve been quite intrigued to see what products would be in the boxes with it being a birthday box and all! With it being GlossyBox’s second birthday this months box is like a birthday present box but for us from GlossyBox to say thank you for all the support from us lovely subscribers over the past two years. In order for them to say thank you this months box is packed of their most trusted and beloved brands, how exciting!! Also can I just point out how cute the little booklet is this month, I love how it has a watercolour effect to it and the little message at the bottom! Also how cute is the wrapping paper, i’m such a geek when it comes to illustrated designs on things! Awapuhi Wild Ginger Shine Spray: It’s safe to say I haven’t ever heard of this brand nor have I come across a shine spray, hmmm to the GlossyBox booklet. This spray is said to leaves all hair types soft, silky and hydrated with ingredients proven to restore weak and damaged hair. This appeals to me so much, especially as it says it is proven to restore damaged hair which I bang on about how damaged my hair is all the time so i’m quite excited to try this. Beautiful Movements Prime & Create Mixing Medium: Again another brand I haven’t heard of before but apparently this is a new just launched product. This product is said to be a multi tasking product with it being a base primer and also can be mixed with mineral based products to turn them into cream products such as powders, blushes and eyeshadows. I’m not too sure what to think of this, I need to for sure try it out! Collection (2000) Fast Stroke Eyeliner: I quite glad this product is in this months box, although it’s quite a cheaper end product it is for sure one of my trusty favourites and i’ve not long ran out of my current one of these eyeliners. It’s super pigmented and drys really quickly and is also waterproof meaning no smudging! It’s also super small so would fit perfectly in your bag whatever the size. Headline Colours Poolside Party Nail Varnish: Another brand I don’t think i’ve heard of but I love a good nail varnish. This one is from Headline Colours new limited edition Poolside Party collection and are said to be super pigmented with an intense colour and gloss with added UV absorbers which means less chipping and flaking. I’m sold, if this nail varnish does what it says I may invest in more of these. I received a really nice light blue colour which doesn’t have the name on it so I can’t tell you the shade name, boo. Jelly Pong Pong Fairy Lashes Mascara: This brand was featured in a previous GlossyBox and I was quite excited to see another product from them in this months box. This mascara is said to be hardwearing, waterproof, long lasting and feather light making it feel as if you’re not wearing any mascara. It is also said to be non clumping but still lengthening and creates great volume. I love a good mascara so i’m excited to try this one out! Also in this months box as an extra gift from GlossyBox are some travel nail files which you can break off and use on the go, very handy indeed! I’m actually really pleased with this months box, especially as all the products really do appeal to me and I think I will genuinely use every single product and enjoy using it. It seems that GlossyBox just seems to be getting better and better since the January box! Did you order this months GlossyBox?